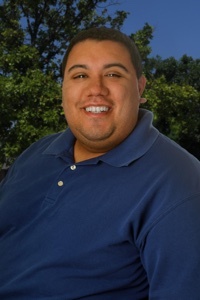 Daniel Ramos serves as a Licensed Marketplace Navigator through the Consumer Health Insurance Marketplace Enrollment Services (CHIMES) program. He provides marketplace enrollment services to the community by helping members with their applications and answers questions about the CHIMES, Medicaid, and CHIP programs. Mr. Ramos previously worked with The Housing Authority of the City of Austin where he was a property manager for several years. He helped residents with directing them to the support and resources they needed, whether it was for single parents or the elderly. He also spent over a decade in the restaurant and service industry in different managerial roles. Mr. Ramos earned his Bachelor of Business Administration degree from the University of Houston - Downtown with an emphasis in Business Management.